After the infamous Batman & Robin fiasco, the Batman movie franchise was left alone for a span of 7 years. Enter director Christopher Nolan. The filmmaker behind Memento [If you have yet to see it, you’re in for a treat!] took the reins of revamping Batman in 2005 with the release of Batman Begins. Nolan’s take on Batman in a gritty, realistic Gotham City was met largely positive reviews & forever redefined the superhero movie. [Look at Iron Man.] But the praise for Nolan would excel dramatically after the release of The Dark Knight, the 2008 follow up to Begins. In it, Batman [along with Gotham] was pushed to his mental & moral limits by a sadistic anarchist known as The Joker, brilliantly played by Heath Ledger. With the success of The Dark Knight & Nolan’s last little indie film, Inception, all eyes have been on the release of The Dark Knight Rises for the better part of 2 years. 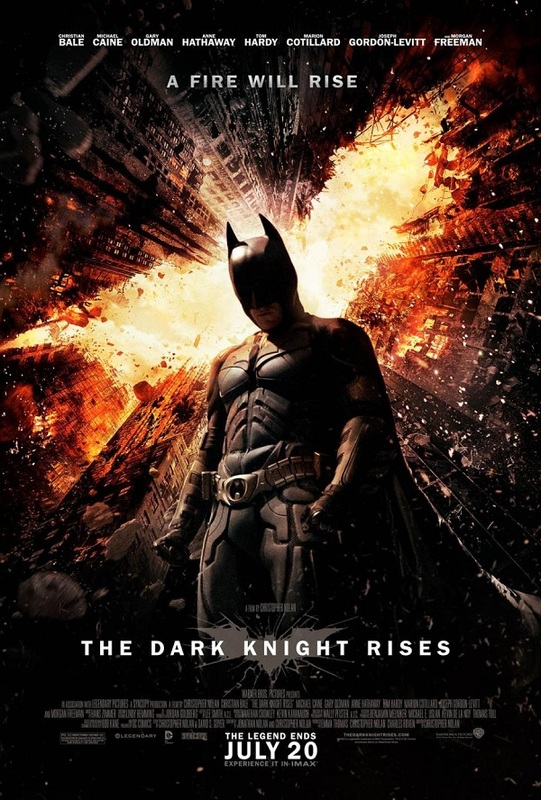 The Dark Knight Rises takes place 8 years later after The Dark Knight. Gotham is now experiencing a time where the law seems to have everything under control. This means Gotham no longer needs Batman. This is merely the calm before the storm; as it slowly creeps toward the city & threatens to change the face of the Gotham forever. When a faction led by an intelligent terrorist commander known as Bane starts to wreak havoc in Gotham, Bruce Wayne decides to put on the now infamous cape & cowl in an effort to stop Bane from conquering Gotham. 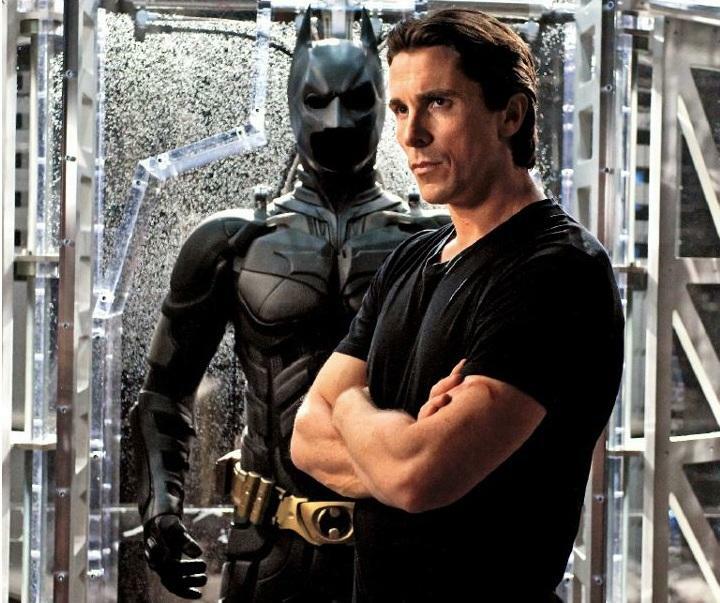 Christian Bale suits up for one more spin as Batman. Some may find the pacing a little slower, particularly in establishing the 8 year expository. However, just as any Christopher Nolan movie, every scene has a purpose & consequences to its action. The Dark Knight Rises tells its story in a slightly different way than the previous Batman movies, which avoids being formulaic [as far as this franchise goes, anyway. For clarification of what I meant, message me]. The plot takes the ending of the Dark Knight fulfills the Joker’s vision of a world without Batman & ultimately what drives him to come back. The story allows audiences a chance to see how being Batman has affected Bruce & those close to him. Christian Bale once again does a great job capturing Bruce Wayne’s emotions as this story further delves into Batman’s psyche in a way that was lost in TDK. [Speaking of TDK…] While Bane doesn’t have the same charisma that The Joker had, he is every bit as terrifying. Tom Hardy does a frighteningly good job of portraying the military strategist. While Bane’s voice is sometimes intelligible in part to the massive facemask, Hardy does a masterful job at conveying expressions through his eyes. Aside from Bale & Hardy, Rises features excellent performances from its expanded ensemble cast. Anne Hathaway plays the role of cat burglar, Selina Kyle with confidence & skill, a feat that she attributes to “trusting Christopher Nolan”. Joseph Gordon Levitt is passionate as he performs his part as idealistic cop John Blake. In addition to Marion Cotillard playing business owner Miranda Tate, other performances worth noting, as well as performances by the returning cast in Gary Oldman’s portrayal of Commissioner Jim Gordon, Morgan Freeman as Lucius Fox, Bruce’s hookup to Batman’s toys, & a heartfelt performance from Michael Caine as he plays Alfred Pennyworth. In addition to the story & acting, the cinematography is immaculate. Just as Nolan did in his previous Batman movies [as well as his last movie, Inception], he uses the camera to show off the minute details that the audience should notice as well as give an idea of the wide scope of Gotham. Writer’s note: Rest in Peace to the 12 victims that lost their lives during a shooting in a midnight screening of The Dark Knight Rises in Aurora, Co. For a more in-depth piece on feelings toward this tragedy, see the previous blog, It’s What Is Done That Defines: Looking At The Aurora Tragedy From A Distance. If you want to lend a helping hand to those affected, head over to http://www.crowdrise.com/helpaurora/ for more information on how to donate. Wishing all the best toward those recovering from this ghastly act.